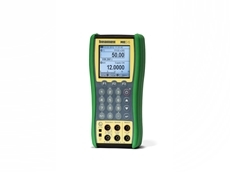 Beamex introduces the ATEX and IECEx certified 2nd generation of the MC2-IS intrinsically safe multifunction calibrator. PPCH-G is a pressure controller/calibrator for gas pressure operation from 1 to 100 MPa (150 to 15 000 psi) which is available from AMS instrumentation & calibration . 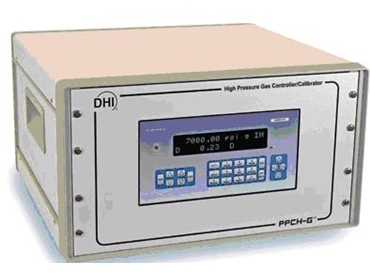 As with the rest of DHI's PPC family of pressure controllers, the emphasis is on high end performance, minimising measurement uncertainty and maintaining precise control over a very wide pressure range, in a compact and rugged instrument. Individually characterised quartz reference pressure transducer (Q-RPT) modules increase precision and reduce measurement uncertainty. The AutoRange feature supports infinite ranging, automatically optimising all aspects of operation for the exact desired range and taking pressure controller rangeability to a new level. 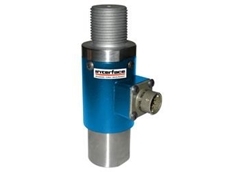 A unique pressure control system and gas booster accessory provide unlimited, on-demand pressure, high control resolution and 10:1 pressure control turndown. Five different control modes are included for maximum versatility. Open architecture allows reference pressure measurement to be internal to or remote from the controller. 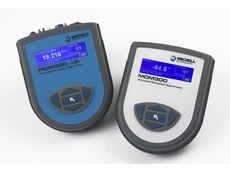 If desired, the reference can be located at the test measurement point and independently removed for recalibration. With all of this, the PPCH-G opens new doors in automated high gas pressure calibration and test applications. PPCH-G's outstanding pressure measurement specifications are made possible by DHI's exclusive quartz reference pressure transducer (Q-RPT) modules. Q-RPTs measure pressure by measuring the change in the natural oscillating frequency of a quartz crystal with pressure induced stress. To be qualified for use in a Q-RPT module, each transducer is individually evaluated and characterised using automated primary pressure standards. Only transducers exhibiting required levels of linearity, repeatability and stability are selected. A proprietary compensation model, derived from more than 15 years experience with thousands of quartz pressure transducers, is applied to optimise the metrological characteristics needed in a transfer standard. The PPCH-G can be delivered with a low cost utility sensor for applications in which, the high precision and stability of a Q-RPT are not required. 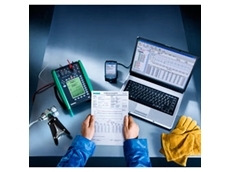 There is a lot more to covering a wide range of test devices with a single pressure controller than % of reading measurement uncertainty. In addition to the necessary measurement uncertainty, PPCH--G offers the full pressure control and feature adaptability that are needed for true rangeability in test and calibration applications. Infinite Ranging gives PPCH-G unprecedented versatility in adapting to a wide variety of devices to be tested. With the easy to use AutoRange function, a few simple key strokes or a single remote command string at the start of a test adapts every feature of the controller to optimise it for a specific range.